Discover The Highlights Of The Month For Sagittarius! On March 1, a Full Moon will start going through your 10th House of Career and Social Status giving you a unique chance to strive for more and achieve more. If you’re a hired specialist, this month you’ll get more praise from your boss than usual. If you’re your own boss, you’ll get a chance to bask in the glory of your achievements. After March 6, some interesting changes are to happen in your love life.  Venus and Mercury will travel to your romance sector on this day giving you special flirting skills and bringing about wonderful dating prospects (if you’re single at the moment). Be more careful in the period from March 22 up to April 15 as it’s possible you’ll hear from your exes. The best places to meet The One for Sagittarius!